One thing I’m extremely passionate about is elevating the status of engineers in an organization. I’m a computer science grad and, despite my other responsibilities as CEO, software engineering has been and always will be at the forefront of my business mind. It feels almost trite to say it, but technology is key — even more now than in previous years — pretty much everywhere, so allowing technical staff to permeate an organization makes sound business sense, too. When I worked as a technical employee at larger companies, I felt that we were treated as second-class citizens, and that’s something I’ve never wanted for my own company. Over 60% of our staff are technical; I want each of them to code, but also to think about the wider business and its goals, and to play a significant role in how we achieve them. That’s part of the reason why we have a relatively flat hierarchy. I want an engineer fresh out of university to have the confidence to suggest a new feature or go to the design team and give their thoughts on how best to configure our branding so that it represents us well. Empowering engineers in this way helps to create equality across the organization, and it means that engineering remains integral at every level of the business, which is especially important these days. While you could argue that a new grad taking their first step in the full-time business world might not have the confidence to put forward ideas or challenge colleagues in this way, I believe that a flat structure means that it takes far less time for this assurance to build. With this structure, many will soon feel little or no hesitation about, for example, giving the marketing team feedback on their latest email campaign. In fact, the majority of our marketing team is actually made up of engineers. I want engineers in any arm of our company to make an impact at every level of the business. I believe that’s important for any tech company, and even firms not necessarily focused on technology but that inevitably rely heavily on it. We champion a self-management culture, but there is some natural hierarchy, and recently we wanted to add a new member to our leadership team (which consists of a small group, including myself, that meets regularly to discuss all things related to the business). From the outset, we specified that the new addition should be technical to represent the balance within the company. I always like to stress that anyone can make a case to become a leader, even those for whom it might not feel like a natural position. In my experience, that outlook has led many of our technical staff to put themselves forward for leadership roles, and that is what happened in this instance. The result is that we now have a leadership team with more technical staff than nontechnical, and I believe leaders with an engineering background are important within pretty much any company. Of course, this isn’t to say that nontechnical people aren’t valuable. However, the experiences I’ve had at previous companies have made me extremely passionate about putting engineers front and center of what we do. Whether it’s marketing, product, strategy, you name it — there will be engineering and engineers involved. 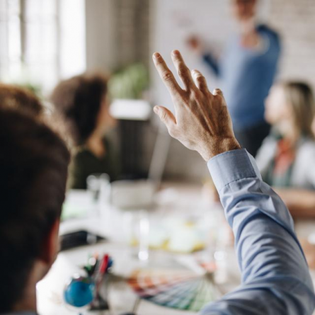 By their very nature, engineers are extremely intelligent and can often provide a different viewpoint in meetings that might traditionally be dominated by nontechnical staff. I know a lot of tech CEOs do come from a technical background, but I wonder if they still surround themselves with fellow engineers once they take their place at the head of the boardroom table — or whether they rely on C-suite leaders with a more traditional background. With technology driving so much in this era, I believe it is unwise to pigeonhole your engineers so that they only focus on engineering. Technology is core to what we do, and the technologists should be as well.